Enjoy Riley Cooper, San Francisco. 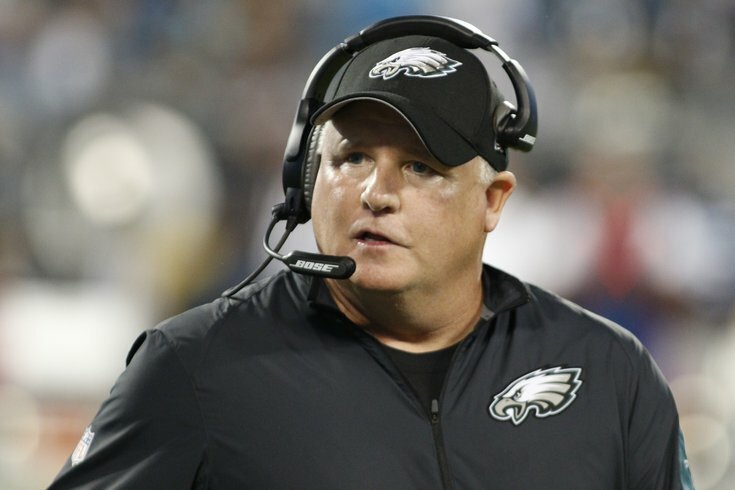 Chip Kelly won the race with the Eagles to get a new post-breakup marriage. While the Eagles were busy losing out on Ben McAdoo to the Giants and Tom Coughlin to nobody in particular, Kelly was locking up a deal that will make him the new head coach of the San Francisco 49ers. For the first time since Michael Vick entered the 2013 season as Kelly's starter, Kelly's quarterback (for now) will be a dual-threat player in Colin Kaepernick. "We are thrilled to announce Chip Kelly as the new head coach of the San Francisco 49ers," York said in a statement. "Chip has a proven track record at both the college and NFL levels that speaks for itself. We believe strongly that he is the right man to get this team back to competing for championships. I look forward to watching Trent (Baalke) and Chip work closely to build a team that will make us all proud." Kelly will also reunite with Tom Gamble, who was unceremoniously let go by the Eagles at the end of the 2014 season, and was subsequently hired by the 49ers to be their senior personnel executive. The NFL is a more interesting place with Kelly in it. It's too bad the 49ers aren't on the Eagles' schedule in 2016.